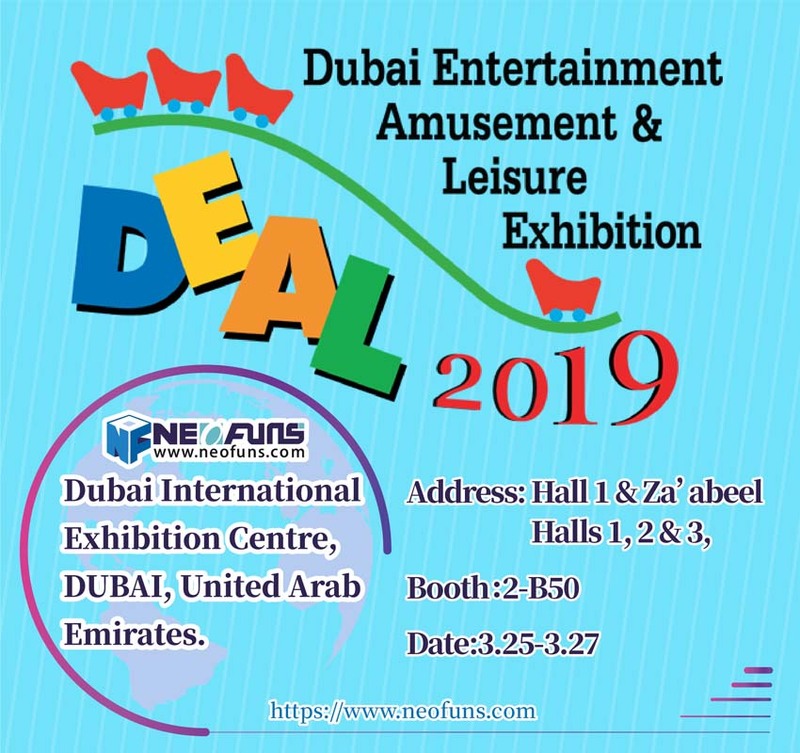 Neofuns Amusement has taken part in the GTI to show our the newest game machine and hold the exciting game at Booth No. 1T 13/1 from 12nd-14th Sept.It was a real pleasure meeting you at the GTI show in Guangzhou. 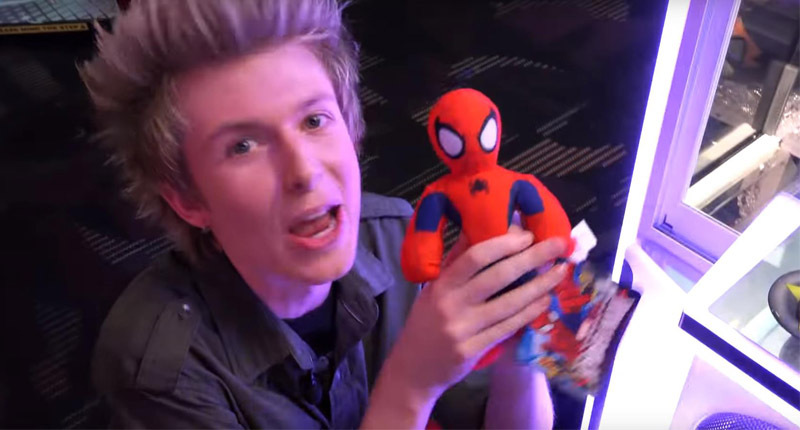 Besides that other showtime! Join us at the Euro Attractions Show 2018 in the Netherlands, Stand 1-1822! 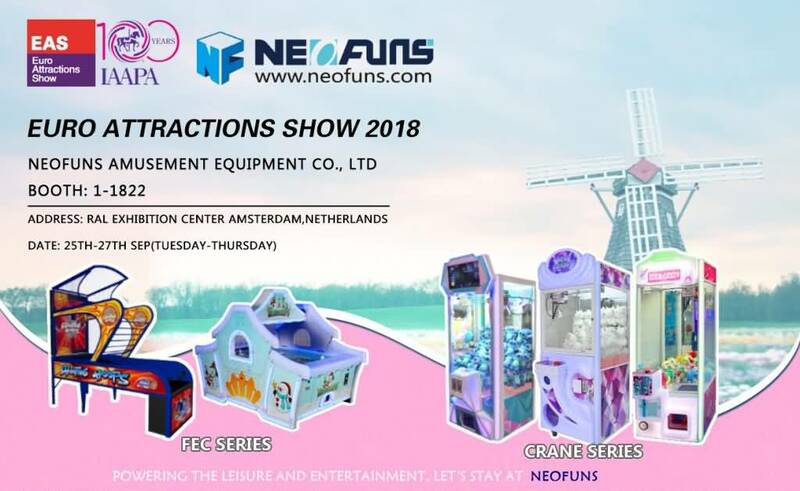 Neofuns Amusement will be taking over Euro Attractions Show 2018 on 25th-27th Sep(Tuesday-Thursday). Three Halls with an area of 50,000 square meters, the ever grand expo, GTI Asia China Expo, will celebrate its 8th birthday in B Zone, China Import and Export Fair Pazhou Complex, Guangzhou from Sept 12-14, 2018, and the whole industry in Asia will celebrate this “wowing” party together with the great participation of buyers from China and outside of China. More and more exhibitors from Panyu, Zhongshan, Shenzhen, Shanghai, Nanjing, Shenyang, Suzhou and etc. will exhibit their latest and most popular products and services in this show venue. 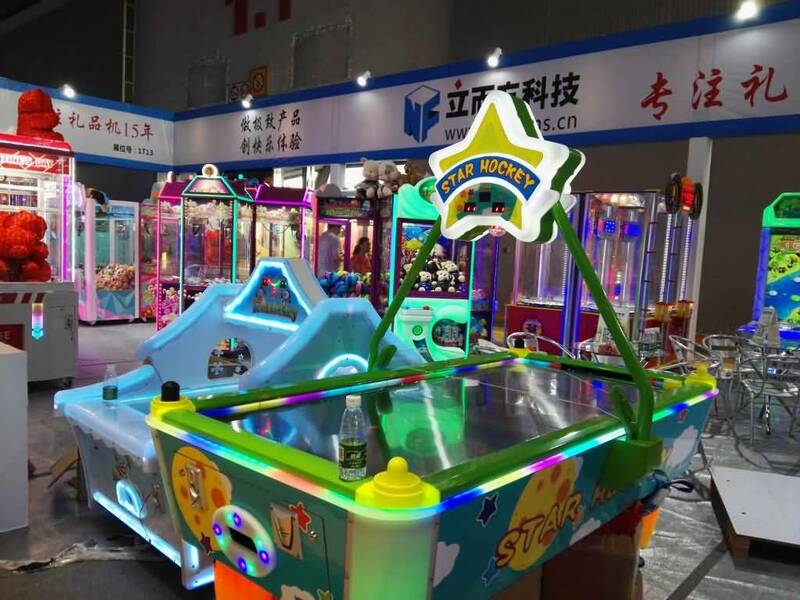 Since its establishment in 2009, GTI Asia China Expo has become the most representative international game & amusement trade fair in China, attracting groups of big names in the industry and the most part of co-exhibiting small manufacturers every year. Profile of exhibit based on Redemption Machines, Kiddie Rides, Carnival Machines, Multi-Player Game Machine, Amusement Game Machines, Digital Leisure Entertainment Equipment, 3D/4D/5D Virtual Reality Products, Theme Park Facilities, Computer Games, Second Generation Consoles & Accessories, Internet Cafe Software & Hardware, Parts & Accessories, Associations/Publications/Media, Monitors, Cabinets, Wooden Cases and Joysticks. 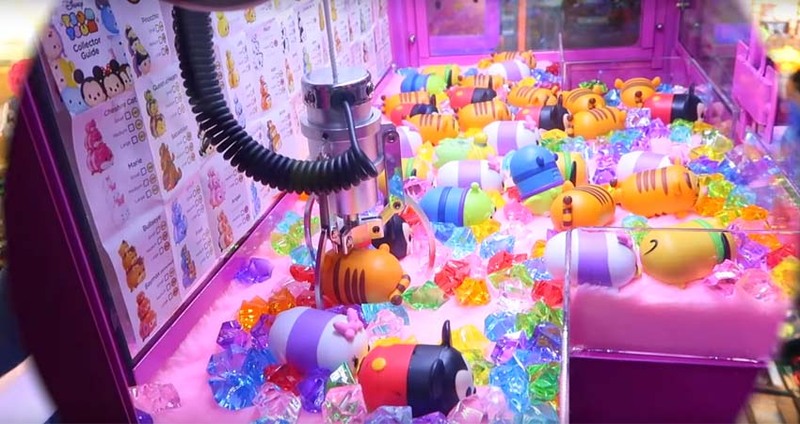 Professionals and operators of arcades and FEC, visitors come from China, Hong Kong, Taiwan, South East Asia, Japan, Korea, US, Europe, and The Middle East.